When planning meals for an RV road trip, many people seem to think that they will just eat out for most of their meals and bring snacks for in-between. While you absolutely can eat out a few times on an RV road trip (in fact, it can be fun to check out new restaurants while exploring the area), the truth is that eating out is still very expensive. 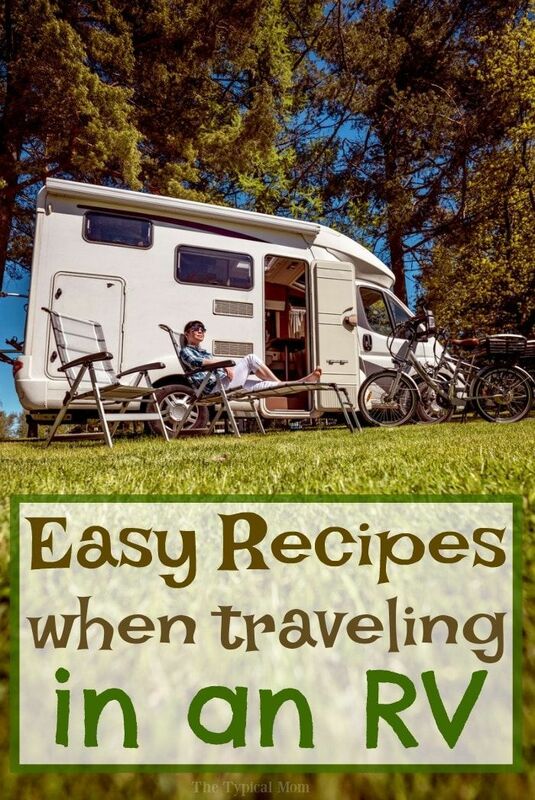 For this reason, it would be wiser to instead bring food and cooking equipment of your own so you can prepare most of your own meals in your RV. Yes, actually schedule each of your meals on your calendar for breakfast, lunch, and dinner. This may seem time consuming, but it’s also a good thing to do if you want to plan out each individual meal and to make sure you don’t miss any days. RV trips are supposed to be fun. You’re on vacation after all, so your meals should not be complicated at all. Stick with meals that require few ingredients, and of course, make sure that everything you need can fit in your RV. Not only should your RV meals be simple, but they should also be larger meals capable of feeding everybody in your family. Examples of meals that fit this bill include hot dogs, cheeseburgers, pasta, noodles, chili, and soups. Each of those meals are easy to make, require minimal ingredients, and will ensure that everybody gets fed. Who says you have to have something different with each meal? If anything, having repeat meals is the best way to reduce costs and save on the number of ingredients you need. As long as you focus on foods that you know everybody in your family likes, they shouldn’t complain about it. One idea for an RV meal would be to cook a casserole or another dish at your home and then freeze it in the RV. Then when everybody gets hungry, you can pull it out and warm up in your RV’s oven (if it has an oven) or microwave. The point is that not every meal has to be cooked during your trip. Some meals can be cooked before and then warmed up later. Planning your meals is an essential part of preparing for any RV road trip. As a final word of advice, ask your family what kind of meals they would like to have on your trip during your planning phase. Your spouse and kids should have no shortage of ideas, and you can include them in planning and even preparing some of the meals.